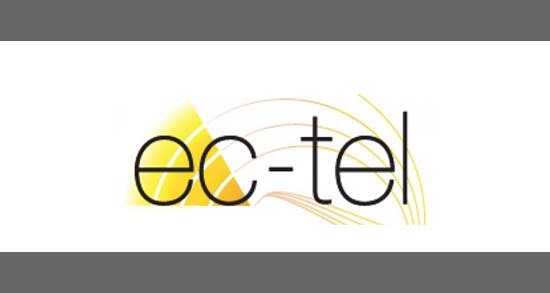 During the Eighth European Conference on Technology Enhanced Learning Scaling up learning for sustained impact (EC-TEL 2013), Feeler design concept was presented in the framework of the Awareness and Reflection workshop (ARTEL). Although ARTEL is still consolidating (this was the third edition), a growing community of teachers, researchers and developers focused on the use of digital technologies for fostering awareness and reflection is gathering around the initiative. In this edition, the presentations approached reflection and awareness from different perspectives: in workplace learning, formal and informal learning contexts. In the case of workplace learning, Krogstie, B., Schmidt, A., Kunzmann, C. et al. (2013) presented the Mature project. The aim of this project is to support individual and group reflection linked to knowledge development. In this case, special attention is paid to the artifacts, as well as discrepancies between individual and collective knowledge since they can act as triggers for reflection and therefore, contribute to knowledge building. In the healthcare sector, Prilla, M. & Degeling, M. (2013) presented a tool that supports reflection on conversations between patients, families and different professionals involved in healthcare. Other tools that seek to foster reflection in this area are SpirOnto, a semantically enhanced patient records for reflective learning on spiritual care in palliative care (Kunzmann, C., Roser, T., Schmindt, A., 2013) and REFLECT, a mobile app that records healthcare professional reflections while driving or commuting (Schmindt, A., Kunzmann, C., Attwell, G. et al, 2013). From a wider perspective, Krogstie, B., Krogstie, J. & Prilla, M. (2013) shared a computer supported reflective learning model that seeks to identify what elements trigger reflection, changes of work resulting from reflection and on how reflective learning processes involves transitions between levels in the organization. In formal learning, Ullmann, D., Wild, F. & Scott, P. (2013) analyzed the proportion of reflection occurrences in students’ written texts. On their side, Charleer, S., Klerkx, J., Santos, J.L. & Duval, E. (2013) placed the interest in how to visualize leaning analytics data to support reflection and awareness. Their work focused on the visualization of badges through a dashboard approach in which they differentiate between individual reflection (displayed in the Navi Badgeboard) and group reflection (an interactive tabletop visualization named Navi Surface). In the presentation of the pilot test results they identified different types of reflection depending if this one is framed as an individual or group activity. Our contribution to the workshop was the paper “Feeler: feel good and learn better. A tool for promoting reflection about learning and well-being“, written together with Tarmo Toikkanen. The text presents a design-in-progress tool for visualization of learning performance and well-being with the aim of fostering reflection and awareness. The project combines Personal Informatics and Learning Analytics in order to encourage learners to reflect about their lifestyle and its impact on their learning capabilities. The workshop concluded with group discussion intended to envision and identify future tool and scenarios that support reflection processes in different learning contexts. Sensors, wearables, semantic technologies, competence recognition such as badges or other systems, visualization and recording of past and real-time experiences were some aspects that in a near future would have an impact in how we understand and design tools for reflection and awareness. This year, the conference them was “Scaling learning for sustained impact”. The selection of this topic was based on the existing gap between technology-enhanced learning innovations and the educational community which very rarely adopts such solution in a wider scale. In this context, Massive Online Open Courses are regarded as a promising option for scaling learning innovations that approach technological and pedagogical issues.